Examples, solutions, videos, worksheets, games and activities to help Algebra 1 students learn how to factor perfect square trinomials. 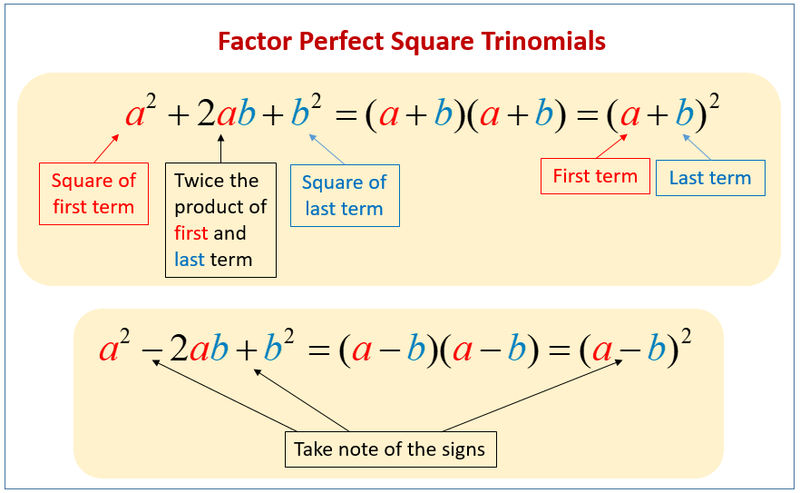 The following figures show how to factor perfect square trinomials. Scroll down the page for more examples and solutions. This video explains how to factor a perfect square trinomial.